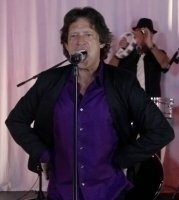 Mick Jagger lookalike impersonator, look alike impersonator tribute artist. All live vocals. 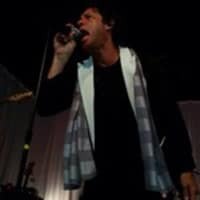 Can come with full band as the rolling Stones celebrity lookalike, look alike impersonator tribute artists or as a solo Mick Jagger lookalike, look alike impersonator tribute artist. For meet and greet, photo opts or as a complete stage show. Mick Jagger Impersonator. Sir Michael Philip “Mick” Jagger (born 26 July 1943), is an English singer, songwriter and one-time actor, best known as the lead singer and a founder member of The Rolling Stones. Jagger’s career has spanned over 50 years, and he has been described as “one of the most popular and influential frontmen in the history of rock & roll”. His distinctive voice and performance, along with Keith Richards’ guitar style, have been the trademark of the Rolling Stones throughout the career of the band. Jagger gained press notoriety for his admitted drug use and romantic involvements, and was often portrayed as a countercultural figure. In the late 1960s Jagger began acting in films (starting with Performance and Ned Kelly), to mixed reception. In 1985, Jagger released his first solo album, She’s the Boss. In early 2009, he joined the electric supergroup SuperHeavy.